Springtime is the best time to be outside in Athens, GA. From fresh blooming flowers to pretty blue skies, when the weather starts warming up you won’t want to miss any opportunity to enjoy the outdoors! The new Firefly Trail that opened at the end of 2017, is the perfect way to enjoy the outdoors this spring. 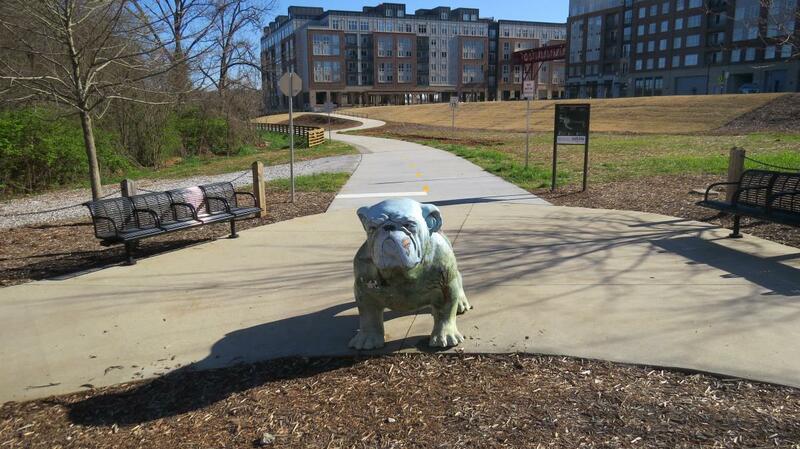 The Firefly Trail is a beautiful oasis conveniently nestled in the heart of Downtown Athens. So grab a friend, a bike, or bring your pup along and explore this awesome trail. The Firefly trail is considered a Rail-to-Trail meaning it was built on an old and out-of-use Railroad Track. The original railroad, The Georgia Railroad, was built in 1841, and in 1888 bridges were added over the North Oconee River and Trail Creek to bring trains directly into downtown Athens. You will notice this as you cross the beautiful trestle bridge that brings you over the North Oconee River at the beginning of the trail. 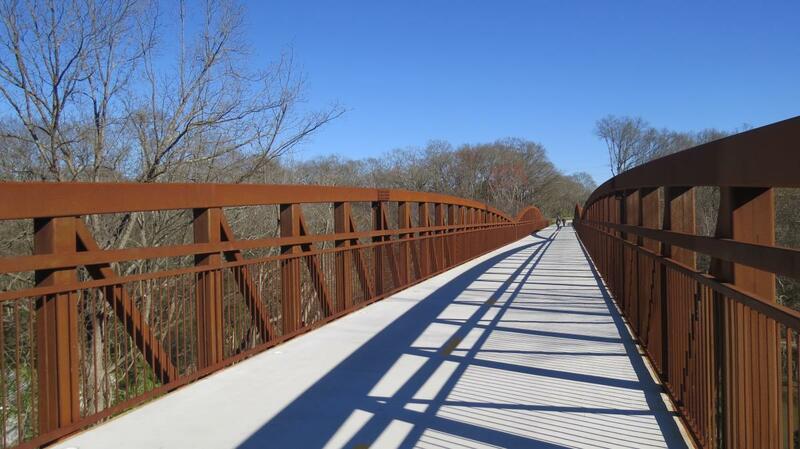 Rails-to-Trails like the Firefly trail provide a safe place for everyone to bike, walk, run, or rollerblade. The wide base of the original railroad tracks allows the trail to be 14 ft wide, giving everyone plenty of room to enjoy it. The Firefly trail can easily be accessed in Downtown Athens off of Broad Street. Free parking is available at Dudley Park in the "Greenway Only” Spaces or at The Classic Center for a small fee, which is only a few steps away. The trail starts off of Broad Street, crosses the North Oconee River, and leads you into Dudley Park. 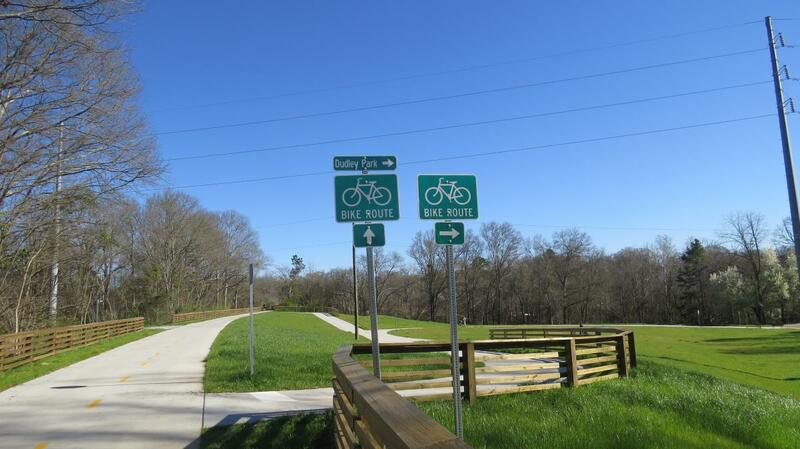 If you follow the bike path signs, you will cross Trail Creek in Dudley Park, and end up at the entrance to the North Oconee Greenway behind Mama’s Boy. The trail then crosses S. Poplar Street then runs adjacent to Oak Street and ends at Old Winterville Road near the loop, with plans to eventually extend further. If you are traveling from out of town and don’t have your own bike, no need to worry - there are many ways to rent a bike in the Athens. Hotel Indigo offers complimentary bikes with your stay and The Graduate has bikes for rent as well. If you are not staying at either of these hotels, The Hub Bicycles offers city bikes, road bikes, and mountain bikes that you can rent while you are in town. If you are a student or faculty member of UGA, you can get a bike for free through Bulldog Bikes, UGA’s campus bike share program. All you need to do is register online here and bring your UGA ID to any of the Libraries to check out a bike. 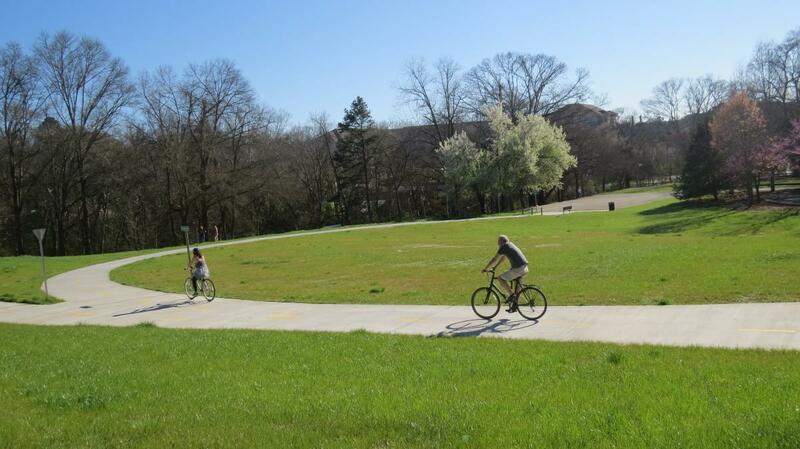 If bike riding isn’t for you the Firefly trail is also great for walking, running, or rollerblading and bring your pup along because it is pet-friendly. The Firefly Trail’s proximity to other local parks gives visitors miles and miles of different routes to explore and the option for a change of scenery. From the Firefly Trail, you can explore the Dudley Park trails and directly connect to Sandy Creek Park through the 3.5 mile North Oconee Greenway. Trail Creek Park is also very close and has about 4.5 miles of mountain bike trails available for all experience levels of riders. If you&apos;re hungry, the Firefly Trail is only minutes from amazing brunch at Mama’s Boy, down-home southern cooking at Weaver D’s, and Downtown Athens restaurants. The long-term goal of the Firefly trail is to extend nearly 39 miles from Downtown Athens to Union Point, Georgia. The trail will follow as closely as possible on the tracks of the original Georgia Railroad, which connected Athens to Augusta. 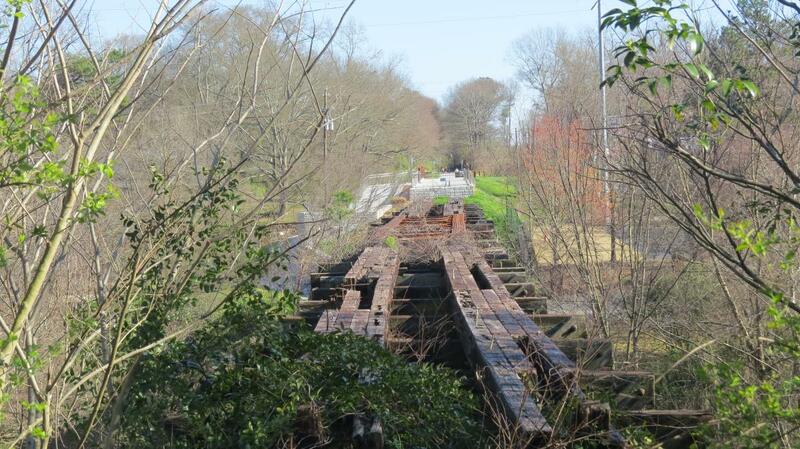 While the current segment ends at Winterville Road, the trail plans to eventually go through the historic towns of Winterville, Arnoldsville, Crawford, Stephens, Maxeys, Woodville, and finally ending in Union Point. It is a huge project in the works, but an amazing opportunity to connect Clarke, Oglethorpe, and Greene Counties. Rails-to-trails blend urban development with outdoor parks and provide a wonderful resource for community members to discover what the area has to offer. Come to Athens on Saturday, April 13 2019 for the FireFly Trail and .5K FunFest. This event will include 4 types of races: a sprint race, backwards race, 125 mm or smaller wheel race and chain race. All proceeds from this event will go towards completing the soon-to-be 39-mile long trail. 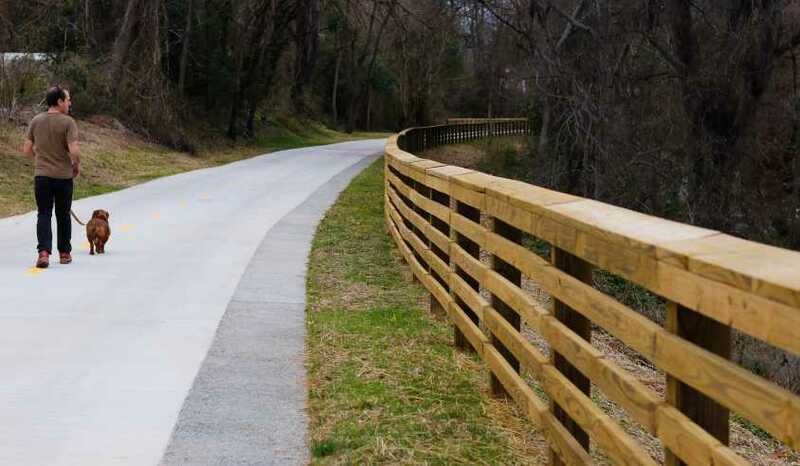 The Firefly Trail is truly an outstanding addition the Athens area, giving both local residents and visitors a great space for running, walking, or bike riding. Its downtown location makes it easily accessible and its historic ties to the Georgia Railroad makes it feel like you are stepping back in time. We are excited to see how it will expand through our local Georgia community over the next couple of years. Visit the Firefly Trail Website for more information.